Discussion in 'Audio Hardware' started by Nielsoe, Feb 9, 2019. Having recently purchased a Denon dl 301 Mk2 I now know what the Denon fuzz is all about. With the future in mind I turned to Google and found the 301 mk2 is actually the highest level cart in the Denon product line. Good as it is, can this really be true? bluemooze and JackG like this. While googling Denon fuzz, I got results for Demon Fuzz. “Demon Fuzz was an afro-rock group which was formed in 1968 and broke up in 1972. Its members had all immigrated to Britain from Commonwealth countries. The band's name means "devil's children or bad policemen"
Big Blue, TheVU and Nielsoe like this. I will forever have a soft spot for the Denon dl-110 (high output MC). It was my first ‘serious' cartridge and together with my late Cambridge phono preamp 640p it delivered a lot of musical pleasure during years. It is still available and for its price one of the best imo. Old Rusty, Shak Cohen, TheVU and 1 other person like this. I'm a big Denon fan as well. I've run a DL-103r and DL-160 almost exclusively for the last decade and am now breaking in a DL-301 Mk2 and it's sounding like a keeper, too. Having looked into this myself, it does appear that all the higher-end Denon carts have been discontinued. Kind of hoping they, like Technics, will realize analog is staying and will reintroduce some carts, or even new designs. I had a DL-160 and two DL-110's - I am seriously considering another DL-110. Great cart (imo) - very musical, with a huge soundstage, tracks well also. Only downside is no replaceable stylus. Shak Cohen, Bill Why Man and TheVU like this. ..... so this seems to be fact. Concerning the break in: be patient. The 301 Mk II needs about 50 hours before the midrange settles. After that it’s a wonder what you get for the money. I have the Denon 100 year anniversary cartridge which came with my Denon 100 year anniversary TT. The cartridge is essentially a DL-103 which is the low output MC cartridge. I thought it required a fairly long break in period-initially it seemed bright to me. Sounds great now and tracks well. I’ve been using a DL-110 and a DL-103 for the longest time and am not really looking to upgrade. The DL301 Mk2 sounds interesting though. I had the DL-110 with a 540p. I loved that combo. Funny enough the 540p only pushed 39 dB Of gain. Which is really low for that cart. I’m curious to match one up again, this time with my Nova II at 50db Of gain. Denon cartridges -- currently own the DL-110, DL-102, DL-103, DL-103R, DL-301 (non MKii version). The 301 came with a vintage turntable I bought from Japan (Pioneer PL-70Lii), it was installed on the straight arm when I received it. I own a LOT of cartridges, and a LOT of TT"s --- and the DL-301 turned out to be one of the biggest surprises of all my cartridges. I had not owned one to date, and was floored by the depth, dynamics... pretty much everything about it. Now, it is probably one of those things where it also matches well in my system with the PL-70Lii and everything upstream (phono preamp, preamp, amp, speakers, cabling) but isn't that what one looks for? I have the DL-110 on a Denon DP-59L with great results, it is a cartridge that no matter what phono preamp I pair it with, it seems always up to the task.... it was mentioned before the 110 has a wide soundstage and strong presence.... I agree! The DL-102 I use for my older classical / jazz LP's (pre-stereo lathe cuts - mid 50's to early 60's mono) - it cured all my searching for what stylus to use for a 1955 Decca with a 1.0 mil groove vs a 1960 Columbia with a 9.7 mil groove --- the DL-102 is a nice "compromise" to all and is a great cartridge. Note you need a TT that can carry it --- it is a massive 13g cartridge, with an estimated 3-4 cu at 100hz dynamic compliance --- so most tonearms will stuggle --- I use it on a Yamaha GT-2000 with 22g EM tonearm, so no problem. DL-103 and DL-103R -- they need no fanfare as most know about these, but they can get mixed reviews --- I think a lot of that is because, again, the DL-103 series is a low compliance cartridge at 5cu at 100Hz, and is not a good match for a lot of tonearms. 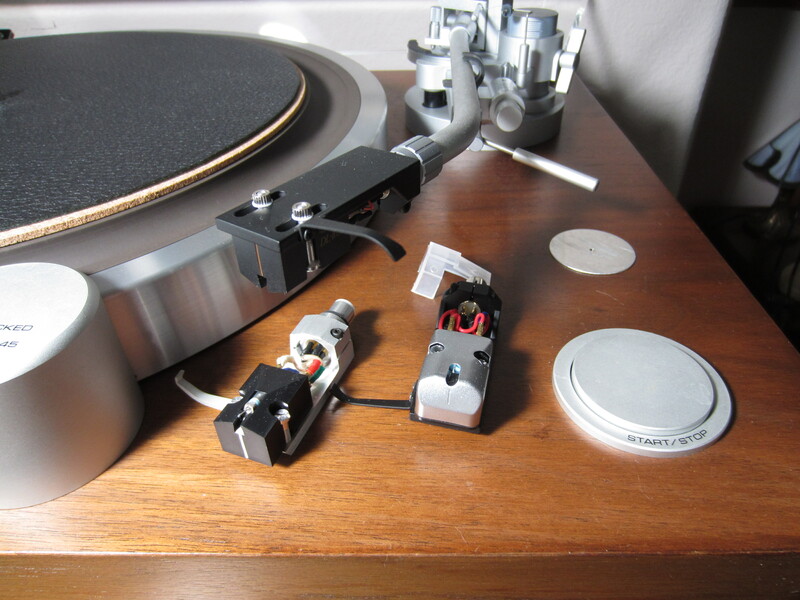 Problem is because of its popularity and reputation, many try to make it work by putting excess weight on their headshell, etc and go beyond what their tonearm was designed for, and then complain they don't like the cartridge! Ummm.... yeah... The amount of misinformation on the web about the DL-103 and all the cartwheels folks go through to make it "work" when it really shouldn't even be attempted is staggering. YMMV. Don't buy a low compliance cartridge to use on your medium to high compliance tonearm -- chances are you won't like the results. patient_ot, Gie663, LH5 and 4 others like this. patient_ot, bluemooze, Old Rusty and 5 others like this. I had a 301 mkII and it was an incredibly capable cartridge. So mostly MC carts on your dd's ?! What about the opinion that mm carts on dd's would perform better because of the magnetic stray fields (if that is the correct term) that the motor in these tables produce ? Do you think it doesn't matter to the performance/sound of your carts? Loaded question - literally. In a nutshell, if you do a raw count, my MM's outnumber the MC's. Recall I have six TT's set up in the main room, and two in my shop--- all four not pictured carrying all MM carts currently.... but understan I have S-arms on most, and swap headshells regularly. I dial them in once, keep a log book handy, and changing them on any one turntable takes only a couple of minutes, especially on those tables where raising / lowering VTA is easily done (some tables like the Denon & Kenwood are a little tougher, but Lee Valley setup blocks down to 1/64th inch resolution really help speed up those tables. The PL-70Lii has the DL-301 since I bought it a couple of months ago, but once I land the S-arm, it'll be swappable and will vary and swap in something like an AT-150mlx. So MC to date. The Denon DL-110 - so far just the DL-110, mainly because it is such a great match. But also have a AT-44omlb that I am targeting for it. So usually MC out of necessity due to high effective mass tonearm. So HOMC DL-110 on the DP-59L because its such a good match! The Kenwood KP-1100 currently sports an AT-440mlb, but looking at both the AT-150mlx and AT33ptgii (which is MC). Excited about trying the AT33PTGii on both my PL-70Lii and KP-1100. 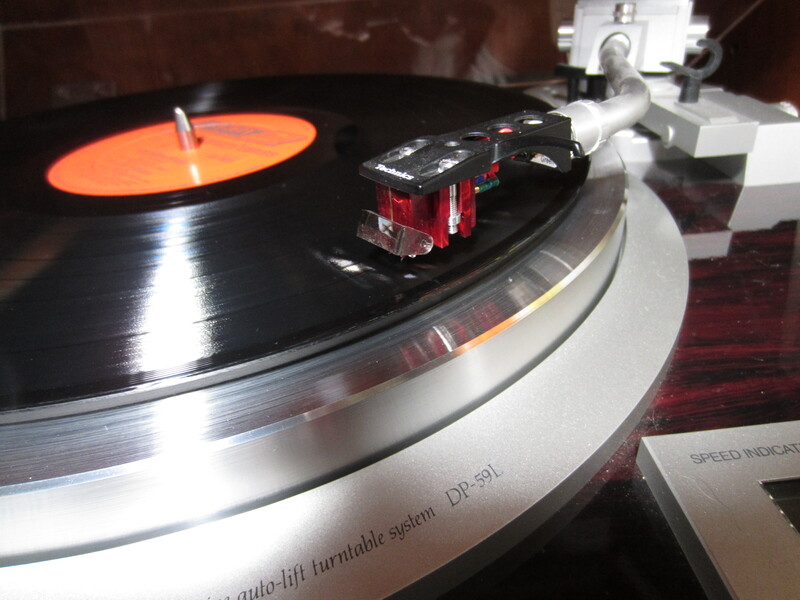 All my SL-1200 are mainly MM ---- things like MP-100, AT-440lb, AT-120Eb, etc. patient_ot and bever70 like this. If I understood correctly, you are mostly using the mc's out of necessity (because of compliance issues) ? So would you avoid mc's on a dd (because of the motor) if a valid mm would be available? I've never heard of this magnetic "issue", nor have I ever had any problems in 10 years with my SL-1200 Mk2 using a DL-160, DL-103r, or current DL-301 Mk2. 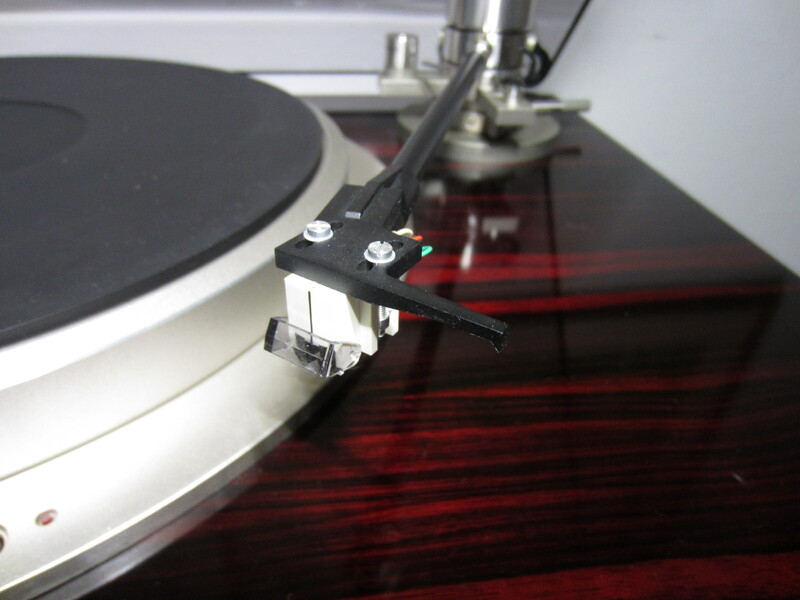 Only on the GT-2000L due to it's high effective mass tonearm. All the other tables I use MC and MM interchangeably --- but it's as much dependent on what phono pre I have on a certain table also, not all my phono pre's are MC compliant. I’m not experiencing any issues with my DL 301 Mk II on a SL1210 Mk II. My previous cart was a Grado moving iron and the Denon sounds much better to my ears. I never actually heard of the problem you mention. Could it perhaps be a case of theory over practice? Well, my dealer used to have a jvc jl-f45 back in the 80's and he tried several AT mc carts on it but wasn't pleased at all with the results, he preferred MM carts with that table and thought it was the magnetic field of the motor interfering with the mc carts. Could be. I’m not ruling anything out. Perhaps it depends on how well shielded the cart is and/or the case work of the turntable. I've pretty much come to the same conclusion. I can't say for sure as I've made a few changes to my system since I bought the 301 MKII but it sure seems like the mid range is "filling in" as the cartridge breaks in. I estimate that I'm around the 25hr mark now. I was thinking that I preferred the "fuller" sound of the Denon DL-103 on my other turntable but I'm not so sure now. I suppose there’s not much bloom to the 301 Mk II midrange rather it seems to have a detailed and stable “reel to reel” like quality to it. That’s how I would describe the overall sound of the cart. Certainly not romantic but not clinic either. It comes across quite neutral really. Ain't that the truth! I often see people buy this then it turns out they have a lightweight tonearm and sometimes don't even have a compatible pre-amp or SUT! Hype can do that - it leads to unwise impulse purchases. The truth is the 103 is a classic broadcast cartridge, made for a very specific use on a heavier arm. Probably. I have heard MCs that cost thousands on DD turntables so it's not a case of "no MC on DD tables". Obviously you want to make sure the arm matches and platter is not ferrous. bever70 and TheVinylAddict like this.